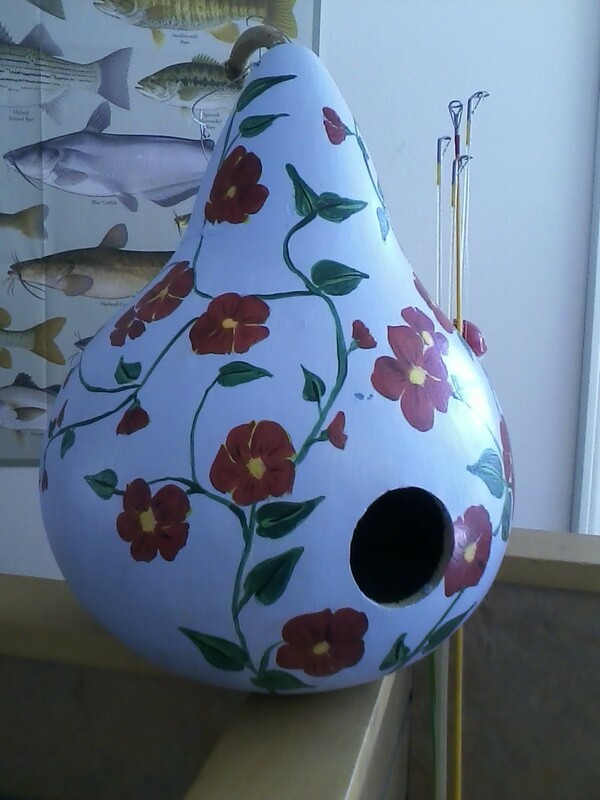 This gourd has a light blue background and a profusion of red 4 petal flowers on a vine. 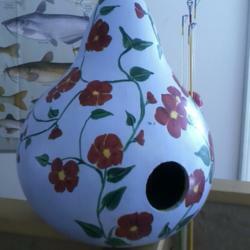 $12.50 Categorized under: birdhouse gourd, red flowers. Click here for payment, shipping and return information . Click here to C-mail me if you have questions or orders. Click here to C-mail Marti if you have questions or orders for her. Thank you for visiting and shopping here.